The 2015 spring athletic season at The Hun School of Princeton marks Assistant Headmaster William McQuade’s 45th year coaching the boys’ varsity baseball team and Assistant Athletic Director Kathryn Quirk’s 40th year coaching the girls’ varsity softball team. Hun School Varsity Baseball Coach William McQuade celebrates 45 years of coaching. The biggest takeaway I have from playing for and coaching with Coach McQuade is the importance of loving what you do and approaching each day with unmatched energy and passion. 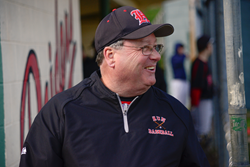 The 2015 spring athletic season at The Hun School of Princeton marks Assistant Headmaster William McQuade’s 45th year coaching the boys’ varsity baseball team and Assistant Athletic Director Kathryn Quirk’s 40th year coaching the girls’ varsity softball team. The two legendary Hun School coaches have amassed seventeen state Prep championships. William McQuade joined The Hun School in 1971 to teach math and assist former Director of Athletics David Leete in baseball. In 1972, Mr. Leete handed the reigns to Mr. McQuade and he hasn’t let them go since. During his tenure, Hun baseball has become a mainstay of school pride, where student-athletes and alumni celebrate their love for the game and the program. Coach McQuade’s teams have captured seven state Prep championships and sent countless players to collegiate programs and professional baseball clubs. Professional pitcher Stevenson Garrison said, "He’s definitely the most influential person in my life – in the baseball world, but also in life in general. He came to the field everyday with a smile on his face. If a player was having a bad day, he would be sure to cheer them up. His respect for the game rubs off onto his players." As a member of the faculty and administration at The Hun School, Mr. McQuade has taken on increasing levels of responsibility over the years. He chaired the Mathematics Department, was head of the Upper School, and is currently Assistant Headmaster for Administrative Projects. Regardless of the changes and growth in his professional responsibilities over the years, he has faithfully returned year after year to coach a sport and players for whom he cares deeply. "The biggest takeaway I have from playing for and coaching with Coach McQuade is the importance of loving what you do and approaching each day with unmatched energy and passion," said Thomas Monfiletto, former player and captain of the 2004 varsity baseball team. "He taught me what it truly means to be selfless – what it means to give all of yourself to others and expect absolutely nothing in return. I’m proud to have played for him, proud to be able to coach with him, and proud to call him my friend." 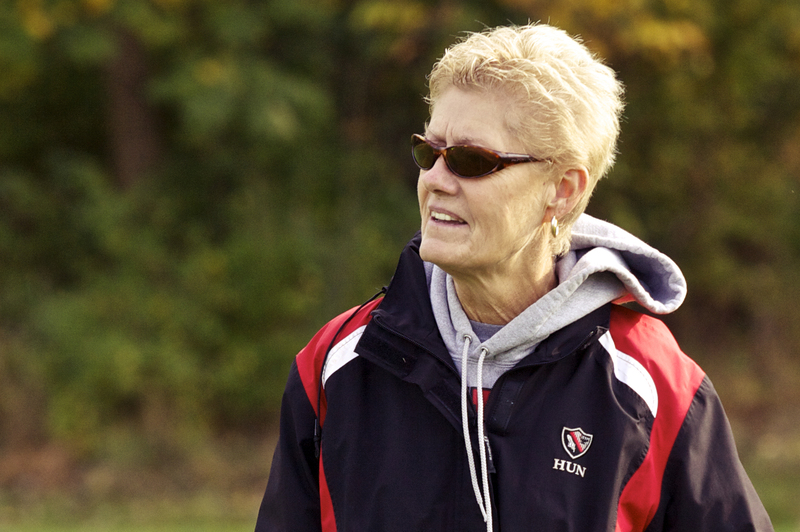 Mrs. Quirk joined The Hun School of Princeton faculty in 1973 as a member of the Athletic Department and the Resident Life community – two years after the school began enrolling girls. She coached three sports, among them softball. In the forty-two years since, Mrs. Quirk begins her fortieth season coaching varsity softball. With ten state Prep championships, the expectations for success are high. And, though season records and game statistics are kept, Mrs. Quirk insists that committing to teammates is the most important aspect of being a member of the softball team. Mrs. Quirk’s personal commitment to the team is apparent. "I get attached to my players," she said. "Sometimes I think, 'this year will be my last,’ but then I meet a freshman or a sophomore who I want to coach through their graduation, and I just can’t let go. I’ve coached here from my first day. I love it. It keeps me young. And as long as I’m healthy, I’m going to keep on coaching." The Hun School of Princeton is a co-educational, private day and boarding school in Princeton, New Jersey. Individual attention and strong student-faculty relationships are the hallmarks of the School. On the 45-acre campus between Philadelphia and New York City, student-centered, hands-on learning prepare students for the global community in which they will live and work. The Hun School is comprised of 630 students in its Middle School, Upper School, and Postgraduate Program. The Hun School is home to students from twenty-three countries and eighteen states. Hun School Varsity Softball Coach Kathryn Quirk celebrates 40 years of coaching.Hun School Varsity Softball Coach Kathryn Quirk celebrates 40 years of coaching.